The funeral of Thailand’s late King Bhumibol Adulyadej, who was known as Rama IX, will take place over five days in October with hundreds of thousands of mourners expected to attend. For many Thais it will be their first experience of a royal funeral of a monarch. King Bhumibol ruled Thailand for more than seven decades and was widely regarded as the nation’s moral compass during decades of on-off political unrest. King Bhumibol, 88, died on October 13, 2016. 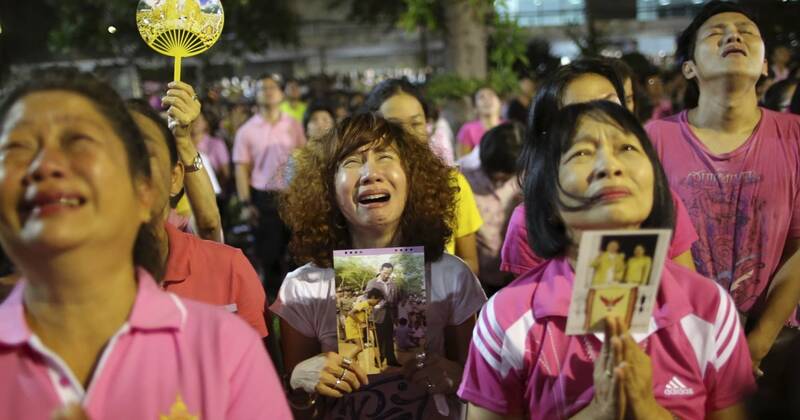 The country has been in an official year of mourning since then with many Thais choosing to wear black. This entry was posted in Thailand by Greg Isaacson. Bookmark the permalink.